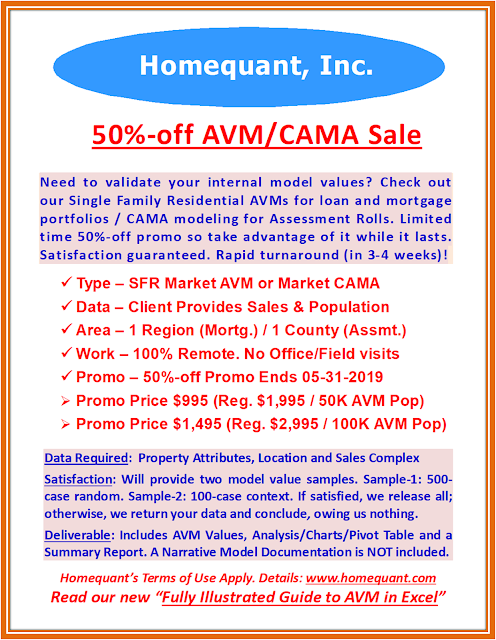 A good property assessment evaluation system should allow sales, market value and assessment analyses, leading to meaningful sales and assessment ratios, along with variable valuation dates paving the way for backward and forward ratio tests. Since the taxable status date is backward-bending (as of 01-01-2017) the County Market Value and Assessment were as of that date, thus requiring sales to be adjusted back as well, in order to make the ratios comparable. In the above graphic all 2017 sales are therefore time-adjusted back @ -6% annual growth (-0.5% X 12) considering the 2017 market moved up at a higher rate than 2016's. 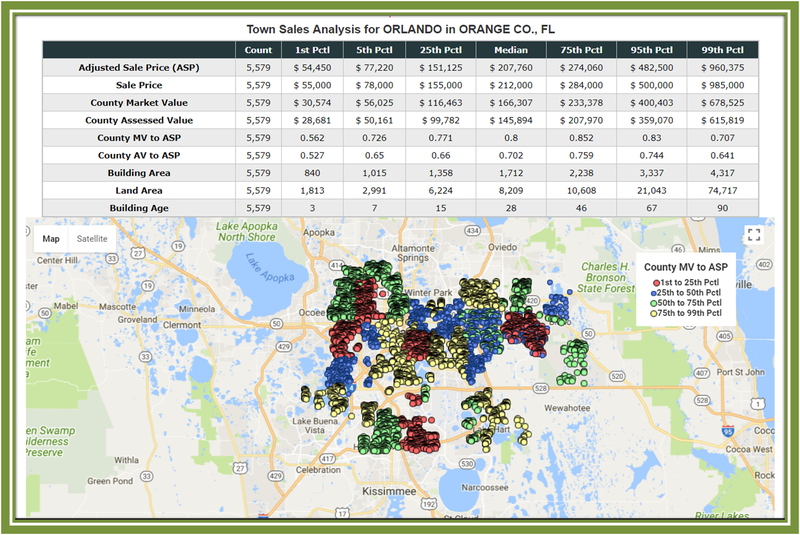 This graphic shows the results of the prior sales query. 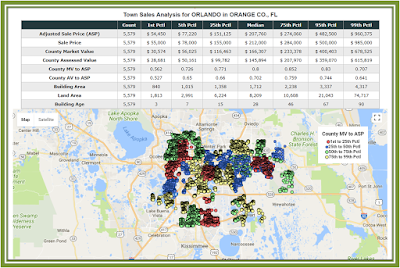 The median time-adjusted sale price in Orlando is $207,760, while the county's median market value is $166,307 (as of 01-01-17), resulting in a sales ratio (County MV/Adjusted SP) of 0.80. The taxing jurisdictions often statutorily value their properties at a lower rate, thus lowering the overall sales ratio. The 0.80 ratio does not signify inequity, as long as all towns within the jurisdiction are assessed around that ratio. 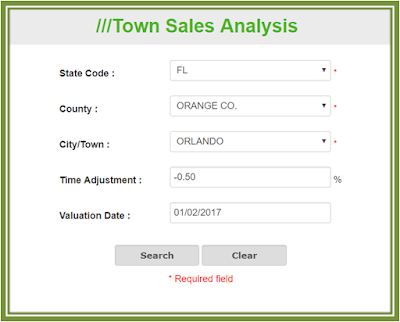 I picked the above graphics from TownAnalyst.com as I own and operate it, to avoid having to deal with any copyright issues. 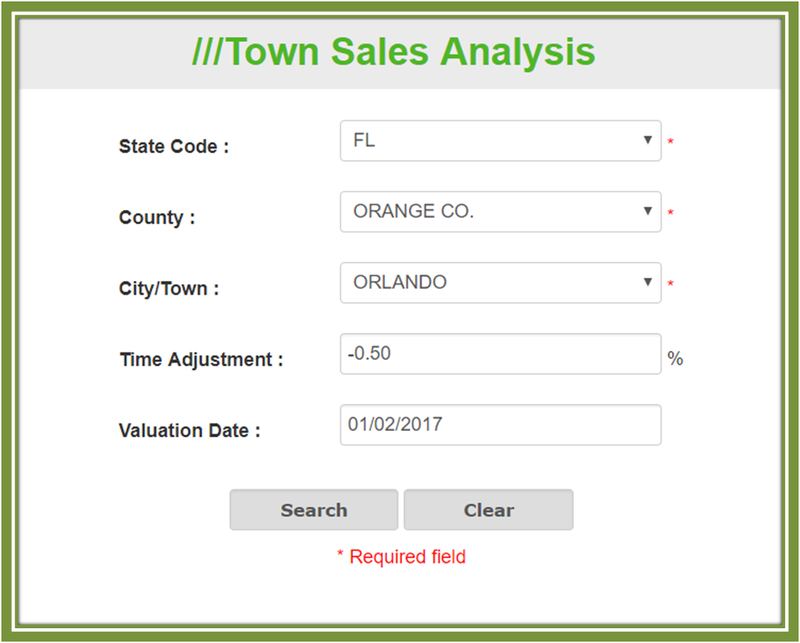 My TownAnalyst site is totally free (no strings) and requires no login or registration whatsoever. Please use the assessment evaluation system that works best for you.